Georgina Walsh Business Coaching » Are You Using the 3 Steps Rule? 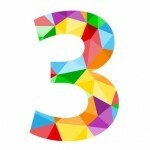 Blog > Are You Using the 3 Steps Rule? I’ve been working with a team of 35 managers in Oxford over the last year. I’ve just come back from a very upbeat and positive session with them. However, things were not always so upbeat. During our first session together we looked at everything they wanted to address or improve. Having come through a period of change and restructuring it was quite a long list! I did what I also do with my small business clients. I helped them to narrow down their focus to just 3 key areas. Asking 35 managers to whittle down a long list to 3 priorities is hard, and when they managed to get to 4, that was fine, I let them off the hook. Within each of those areas there were lots of things to be addressed. Again, I asked them to just choose 3 things to focus on in each area. What I was so pleased with, a year on from the start of our work together, was how much they had achieved, how positive they were and how keen to move onto the other things that need to be addressed. They would not have achieved so much or be feeling so positive and resilient if they had tried to address everything at once. For all of us it can be hard to move forward when there is a mountain of things to get done. Let’s take Marketing Plans for example, you could use many different marketing channels but starting with just three, for instance, referrals, a newsletter and social media can often bring better results than if you created a bells and whistles marketing plan with 6 or 7 different channels. Get those three running well and you can add another channel, and then another one. The 3 Steps Rule can often avoid you grinding to a despondent, over-anxious halt. So, where can you apply the 3 Steps Rule today?